The 63-year-old singer fell into a coma last week after contracting pneumonia. Gibb has had a string of health ailments, and was hospitalized last year for stomach and colon problems. 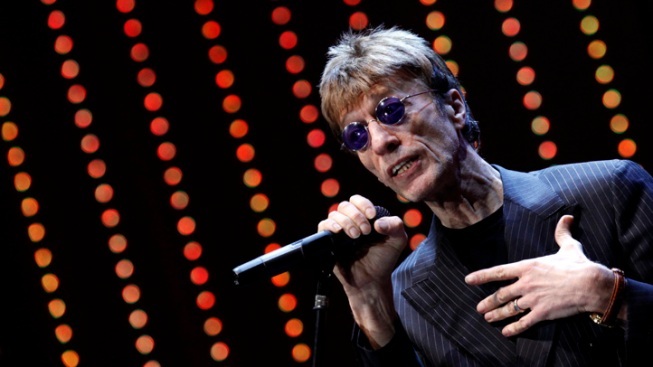 Robin Gibb's spokesman says the Bee Gees star has woken from a coma and is showing signs of recovery. The 62-year-old singer fell into a coma last week after contracting pneumonia. Gibb was hospitalized last year for stomach and colon problems. He has not specified the exact nature of his illness — widely reported to be cancer — but told the BBC he had a growth on his colon that was removed. Doug Wright on Saturday said that Gibb had been able to nod and communicate with his family members, who have surrounded his bedside for almost his entire stay in a central London hospital. The Bee Gees — British-born, Australia-raised brothers Robin, Barry and Maurice Gibb — had a string of disco-era hits including "How Deep is Your Love" and "Stayin' Alive."